Alongside iOS 11.4, watchOS 4.3.1, and tvOS 11.4, Apple today released a new 11.4 software update designed for the HomePod, which introduces major new features for Apple's smart speaker. This is the second update that's been released for the HomePod since it became available for purchase back in February. As Apple announced this morning, the new HomePod software, paired with iOS 11.4, introduces support for AirPlay 2 and HomePod stereo pairing. AirPlay 2 is an updated AirPlay protocol that's simpler, more advanced, and more robust, enabling multi-room audio capabilities. 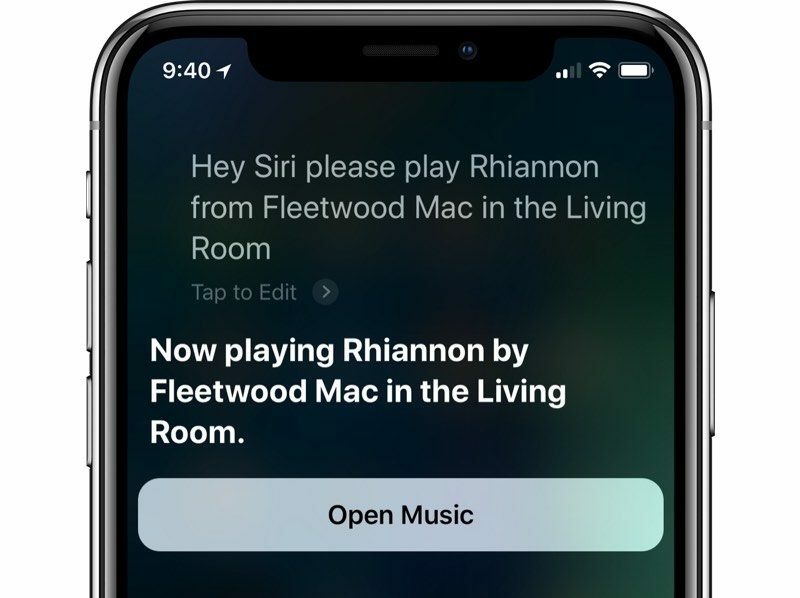 With AirPlay 2, you can play music in any room to any room, move music from one room to another room, or play the same song in multiple rooms using an iOS device through an app or Control Center, the Apple TV, the HomePod, or Siri voice commands on any of the aforementioned devices. AirPlay 2 controls can be accessed within any app and in the Control Center on an iOS device running iOS 11.4. 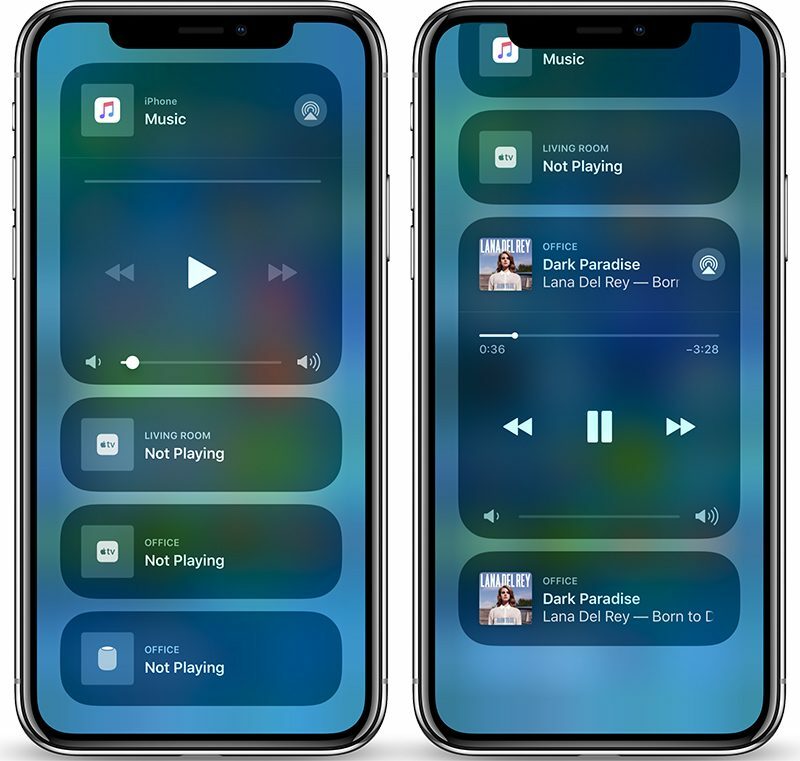 In the Control Center, you will see a list of all of the available AirPlay 2 devices in your home, and you can effortlessly send audio to a single device, to multiple devices, or switch audio between devices. The HomePod is the first AirPlay 2 device and one of the only AirPlay 2 devices on the market right now, but Apple plans to allow third-party speakers from companies like Sonos, Bose, Libratone, and more to add support for AirPlay 2. Today's update also allows two HomePod speakers to be set up as a stereo pair, which is ideal for larger rooms as the arrangement offers up more room-filling sound. When paired, each HomePod is able to automatically adjust audio to take into account the other HomePod, for excellent sound from each device. The HomePods are able to take advantage of the built-in A8 chip in each speaker to play a left or right audio channel while also separating out ambient and direct energy for what Apple says is an almost three dimensional soundstage. 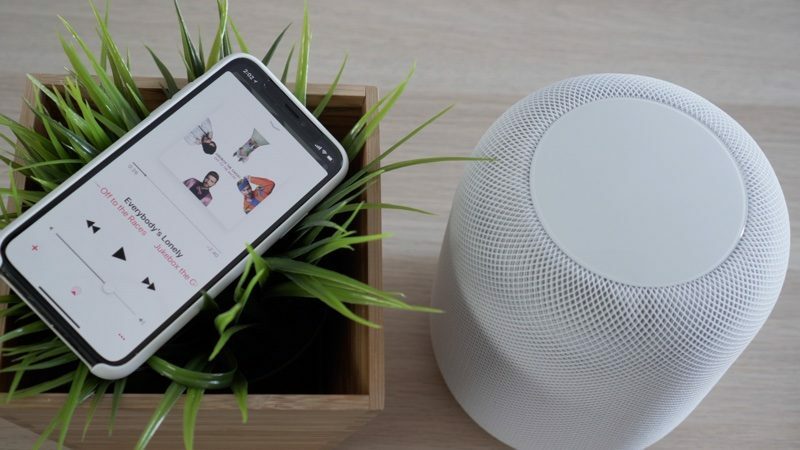 Stereo pairing uses an Apple-designed wireless peer-to-peer direct link to allow the HomePods to communicate with one another and play music in sync. The two speakers will act as one when paired, and just one will respond to incoming Siri requests. Setting up stereo sound is as simple as turning on a second HomePod. Whenever a second device is set up, you'll be prompted to form a stereo pair with a popup interface, with this information also available in the HomePod's settings in the Home app. The new HomePod software also introduces one other small but important change -- it will allow users to check calendar appointments on the HomePod using Siri voice commands. The HomePod is currently available only in the United States, the UK, and Australia, but Apple will expand availability to Canada, France, and Germany on Monday, June 18. While the HomePod is not launching in Canada, France, and Germany until mid-June, new languages, including Canadian English, French, and German are available on the HomePod starting today and are accessible through the HomePod settings in the Home app on an iOS device. Why would you balance your phone on a plant tho? How can it possibly be 9 months late when the HomePod hasn’t even been on sale for 4 months? Its the "bitching factor" added to everything Apple. Glad it’s finally launched; can’t quite verbalise it but audio sounds much better again-especially in stereo mode. Now.. Can we have eq control too please ? Or does Apple know better what i like ? Lol. Only to appeal to millennials. Well, not if you don't wear the glasses while listening. I am not saying the sound isn't very good but I doubt it come even close to what my system sounds. I can’t attest to what you have, and I know the HomePod is not a cheap alternative by any means, but for a “Smart speaker”, in excels well past my expectations of what I thought it was going to sound like, given how large my living room is with vaulted ceiling‘s, it literally *is* room filling.